The Big Idea: Help kids remember some simple steps to manage their asthma. Print this page and help kids rap or chant the words to Dani’s song. Ask kids to point out some of Dani’s triggers in the maze. Are any of their triggers the same as Dani’s? 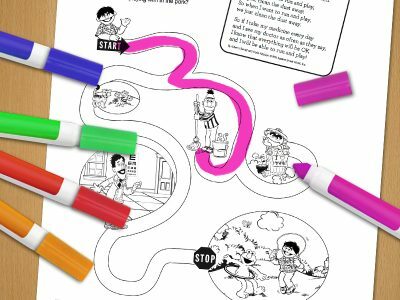 Kids can follow the paths with crayon or marker.